A comprehensive guide to NW Portland breweries • Where Is Your Toothbrush? 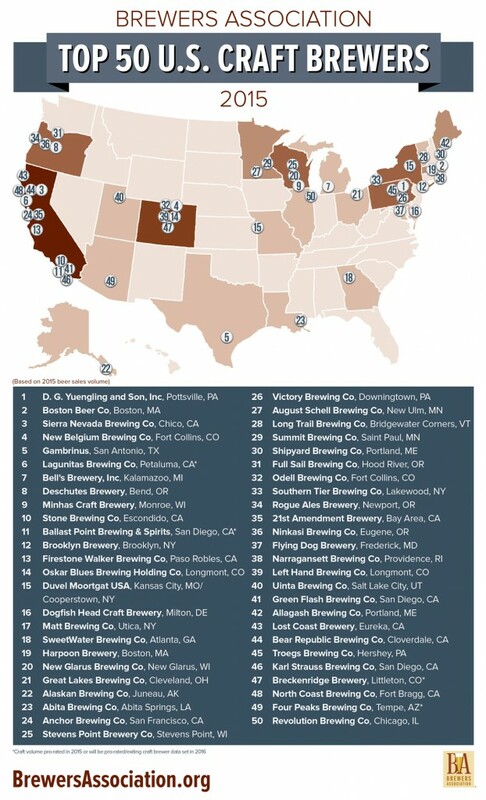 Portland, Oregon, has the most breweries of any American city (70 as of December 31, 2016 plus another 35 in the metropolitan area) and it’s the 6th in the U.S. in the number of breweries per capita. It is easy to get overwhelmed with beer choices in America’s craft beer capital even if you live here, like we do, let alone if you just visit. The Where Is Your Toothbrush? Guide to Portland Breweries to the rescue! With Portland divided into five quadrants, we’ll feature five long posts over the next five or so months (sign up for future posts). We start in Northwest Portland, with NW Portland breweries located in the quadrant north of Burnside Street and west of the Willamette River. Some of these breweries are featured in our ebook 365 Weird Things to Do in Portland, Oregon. Check it out! 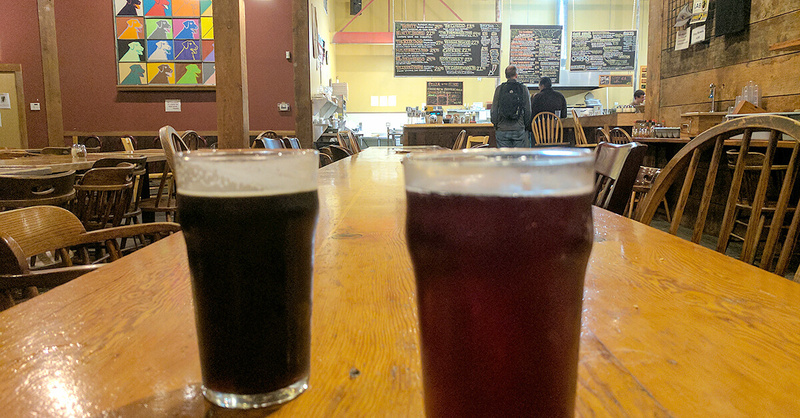 These are microbreweries in NW Portland with on-site brewing operations and attached brew pub, taproom, or tasting room (we do not include standalone brewpubs where beer is not made on premises or breweries that only make beer for distribution). Every Portlander knows—and partly also dreads—the BrewCycle, a 15-person bicycle loaded with wooing and cheering tourists rolling through town on NW Portland brewery tours (the BrewBarge is the same thing, except on the river where Portlanders don’t mind). Bike and drink beer? Portland AF. Wildwood Witch Brown IPA at Backpedal Brewing. So is the company’s nanobrewery and taproom, part of which is the garage that houses the BrewCycles. The tiny space is two doors down from the ultrapopular and always-crowded 10 Barrel (see below) and, correspondingly, much more airy and cool. Fusions featuring Belgian styles dominate the tap list. We tried the Phantom Cat Black Saison (5.5% ABV, 37 IBU), a perfect cap for a hot summer night. Cascade Blonde (5.2%, 25 IBU) is a good-looking brew with a tangy twist at the finish that mellows out as the beer warms in your hand. According to the beer menu, the Wildwood Witch Brown IPA (6.8% ABV, 62 IBU) is “like a walk along the Wildwood Trail of Forest Park“. It took us from a bold, fruity, bright start, through a chewy, hoppy middle like a hill crest, into a dry, easy finish. Quake Oatmeal Pale Ale (5.4% ABV, 48 IBU) is a well-balanced brew with soft water-like texture from the rolled oats. Both an invitation and a challenge, Tropic Thrasher Imperial Citrus Pale (7.8% ABV, 70 IBU) is a mashup of the Blood Orange Blonde (5.5% ABV, 30 IBU) and Tropic Thunder IPA (6.6% ABV, 90 IBU)—and the biggest, baddest hazy ale we’ve had in any of the breweries in NW Portland. What the taproom’s metal-heavy interior lacks in coziness, particularly on dreary winter days, it makes up for in friendliness of staff and patrons as well as in the beer lineup. While it may not invite lingering until the summer, it’s a perfect stop on the way from Point A to Point B and a welcoming environment for exploring creative beers. 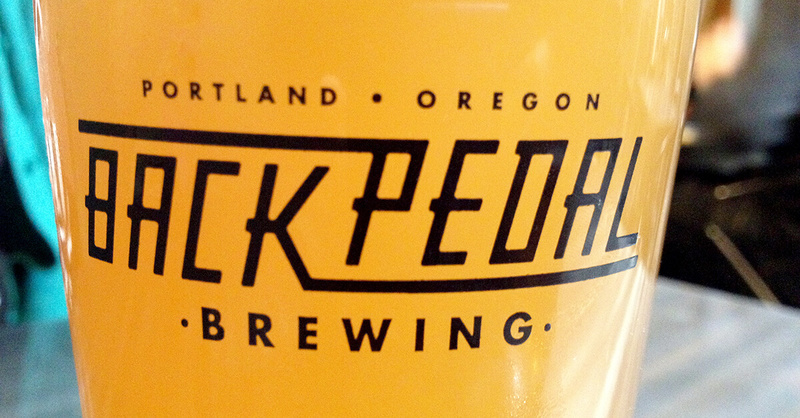 Backpedal’s BrewBarge o is featured in our ebook 365 Weird Things to Do in Portland, Oregon. Check it out! With headquarters in Milwaukie, a Portland suburb, Breakside is a top-notch brewery, boasting some of the best Oregon craft beers we’ve ever tasted (and awards and accolades to go with them). Aside from the main taproom, they have one pub location in Northeast Portland. Until the week of this writing. The long-anticipated Slabtown Pub & Brewery in NW Portland opened March 6, 2017. Yet another specimen of industrial chic, with concrete, metal, HVAC vents, and wood in a warehouse space divided into two levels, each of which features a bar flanked by large TV screens, the place is big. Art in the stair well at Breakside Slabtown. On its first Saturday in operation, the wait for a table between lunch and dinner times was 1.5 hours. The areas between tables thronged with standing beer drinkers. The place was hectic and loud to the point of obnoxious—far from being a pleasant place to enjoy a beer. Walking away, we felt a palpable sense of relief. “New Portland” isn’t really our thing. Our bad: we should have known better than to go so soon after opening. Indeed, on week nights the place is more manageable, and we’ve even managed to get a table without a wait on a more recent Saturday. Admirably enough, staff couldn’t be any nicer and friendlier. 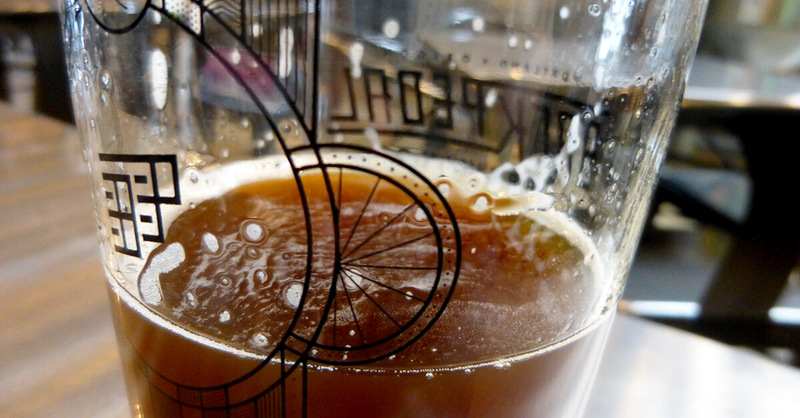 No matter: Breakside’s brews are simply stellar. The tap list includes drafts made elsewhere, including the mainstays Lunch Break Session IPA (5.2% ABV, 30 IBU), Breakside IPA (6.3% ABV, 74 IBU), and Wanderlust IPA (6.2% ABV, 63 IBU). But Slabtown’s “Hop Lab” makes nearly a dozen brews on premises just for this location. Brewed with the newly released Lemondrop hops, Oro (5.5% ABV, 27 IBU) is a perfectly balanced, crisp summer ale. We could only think of the word “gorgeous” for Something Wicked (7.0% ABV), a big, bright, and juicy hazy IPA with notes of grapefruit. 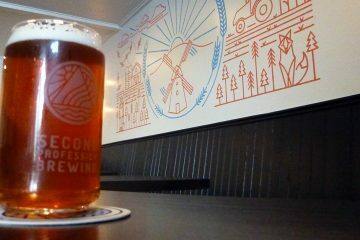 The Wilsner (5.4% ABV) is a near-perfect German Pilsner, but with a Pacific Northwest twist: Simcoe hops. Mo’ Money West Coast Pale Ale (5.2% ABV, 30 IBU) is a delightful citrusy pale on a hop-forward side of the table. Best beer in Northwest Portland, at Breakside Slabtown. 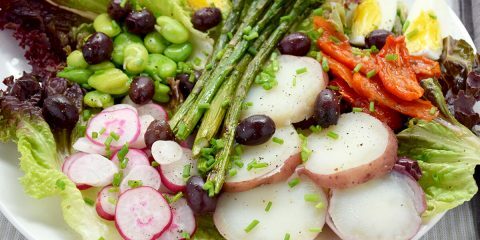 With warmer weather setting in and The Oregonian including it in their list of the year’s hottest new restaurants, Breakside Slabtown will stay packed. But we’ll keep returning. The beers are worth it. “Oregon’s oldest craft brewery,” established in 1984, is what you would expect from a middle-aged neighbor. He’s too conventional to offer any sense of adventure (the company recently fell off Brewers Association’s Top 50 U.S. Craft Brewers list and experienced a sharp drop in year-on-year sales), yet he keeps trying to reinvent himself and stay relevant in a fast-moving world (viz the new throwback Stumptown and rotating Deep Cuts lines of beers and the brew pub packed most times). The brick of the brew pub‘s old building creates an expectation that the rest of the interior’s industrial cool breaks in a heartbeat. The place feels like it came straight out of a marketing department’s drawing board: comfortable and anonymous at the same time. Divided by steel and wood, the three sections—a bar and a dining room downstairs and a bar upstairs—compete in the open space, making for a raucous, murky experience. If it weren’t for the large photo of the Portland night skyline above the upstairs bar you might not know what city you’re in. If you’ve lived in Oregon for any period of time, the beers are familiar from supermarket shelves. For us, BridgePort beers were an introduction to craft brews some 15 years ago. The classics, Original IPA (5.5% ABV, 50 IBU) and Kingpin Double Red Ale (7.5% ABV, 65 IBU), serve as a baseline for the Oregon craft beer experience. Drinking at BridgePort like it’s going out of style. The Stumptown Candy Peel IPA (6.5% ABV, 65 IBU) is a citrusy take on the IPA that refreshes and goes down well, while the Stumptown Oatmeal Red Ale (5.6% ABV, 48 IBU) is a milder red that overpromises and underdelivers on the oatmeal front. India Pale Wheat (5.4% ABV, 60 IBU), one of the Deep Cuts, starts with bright wheat-ale notes and ends with a nice dry IPA finish. Given the interesting combinations of ingredients, these newer brews should taste better than they do. Inoffensive and unadventurous, they make you want for more, which is surely right around the next sip. If it seems like we are being harsh on BridgePort, we are not. The beers fill us with nostalgia for our early craft beer-training days when BridgePort was pretty much the best and the most reasonably priced local microbrew you could get at the grocery store (we miss you, Blue Heron Pale Ale!). The brew pub is one of the less posh places in the swanky Pearl neighborhood, and the adjacent brewery makes the streets around fill with the delicious scent of beer-making. And that’s okay by us. Hours: Tuesday–Thursday 11:30 a.m. to 11:00 p.m., Friday–Saturday 11:30 a.m. to midnight, Sunday–Monday 11:30 a.m.to 10:00 p.m.
Lucky Lab is a Portland institution. Like the brewery’s other pubs, the Northwest Portland location, the Quimby Beer Hall, is a no-frills beer hall with counter service, long tables that invite sharing, and decorations featuring—wait for it—Labrador retrievers. The converted warehouse is a popular place for meetups, game nights, big-group gatherings, family outings, dates, and the Portland Revels’ Robert Burns Birthday Celebration. In other words, it’s a community spot offering a touch of “Old Portland.” Even when full, you can be left alone; even when empty, you can feel welcome. Dog-friendly, funky and cavernous, there’s something homey, comfortable, and cozy about it. Even the trip to the men’s room is entertaining. A night cap at Lucky Lab. Perhaps it’s the food and beer, too. Lucky Lab has a straightforward soup, pizza, and sandwiches menu. 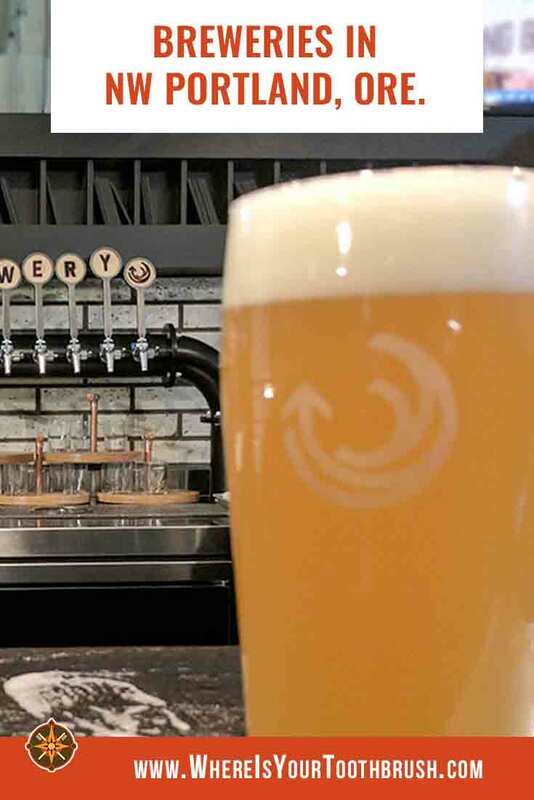 While we go to Lucky Lab for the genius loci, not the beer, the brews here are uniformly quaffable and go well with sitting around and chatting (of the 41 brews listed on the website, a dozen are on tap here). Super Dog IPA (6.5% ABV, 90+ IBU) is a classic, Northwest-big, dry-hopped brew, while Dog Day IPA (6.4%, 82 IBU) is its British-style cousin. Got Hops? (6.4% ABV, 86 IBU) is an ever-changing “hand-it-to-ya” IPA with a tinge of a je ne sais quoi aftertaste. The quaffable, chewy, malt-forward Reggie’s Red (6% ABV, 38 IBU) leans toward the milder side of reds. 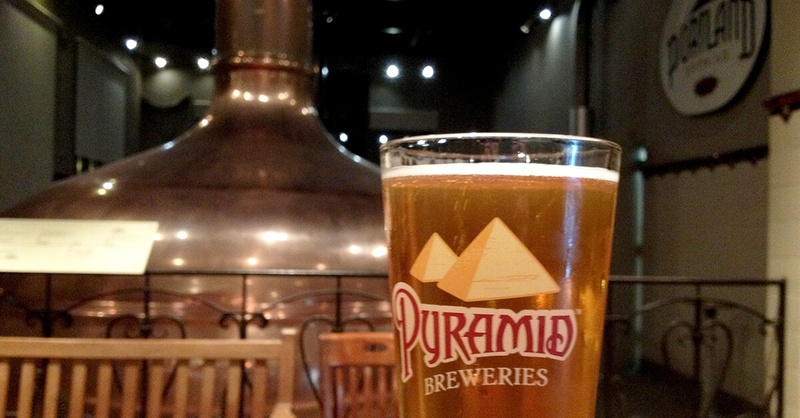 Golden Ale (4% ABV, 30 IBU) brightens the gloomy Portland days and complements the sunny ones. Crazy Ludwig’s Alt (6.5%, 65 IBU) is a larger-than-life, hoppy alt without too many layers. We also like the Stumptown Porter (5.5% ABV, 48 IBU) and the biscuity, full-bodied Wheat Stout (5.8% ABV, 48 IBU). Yes, we’ve been here a few times. Imperial pints, long tables, wood deco… What’s not to like about Lucky Lab? Hours: Monday–Wednesday 11:00 a.m. to 11:00 p.m., Thursday–Saturday 11:00 a.m. to midnight, Sunday noon to 10:00 p.m.
Lucky Lab is featured in our ebook 365 Weird Things to Do in Portland, Oregon. Check it out! 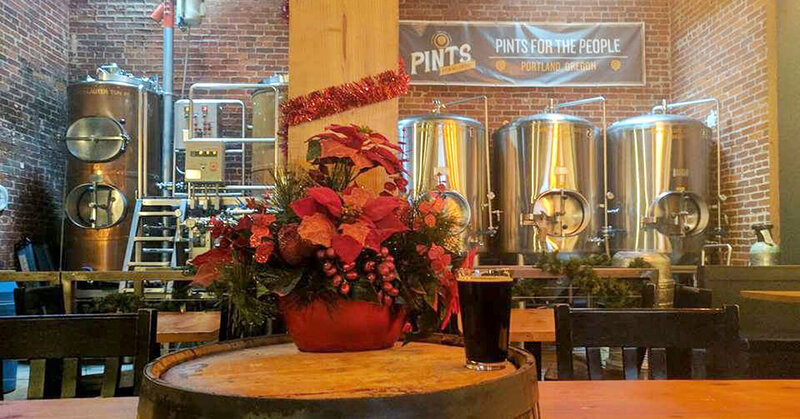 Unlike most other Northwest Portland breweries, Pints embodies its location on the edge of Old Town, near the Amtrak and Greyhound stations. The small, cozy space with high ceilings in an historic brick building creates an illusion of a small town yet there’s nothing special enough about it to make it “ours”. We like that they show ice hockey on TV and occasionally tune into odd non-sport broadcasts like dog shows. Tuck in before a bus ride or after work, and you’re going to be fine. Among the brews, the Steel Bridge Stout (5.2% ABV, 22 IBU), named after the nearest span, stands out with its creamy head and dry robust body. The Rip Saw Red (6.5% ABV, 60 IBU) is a mighty fine, chewy red standard. 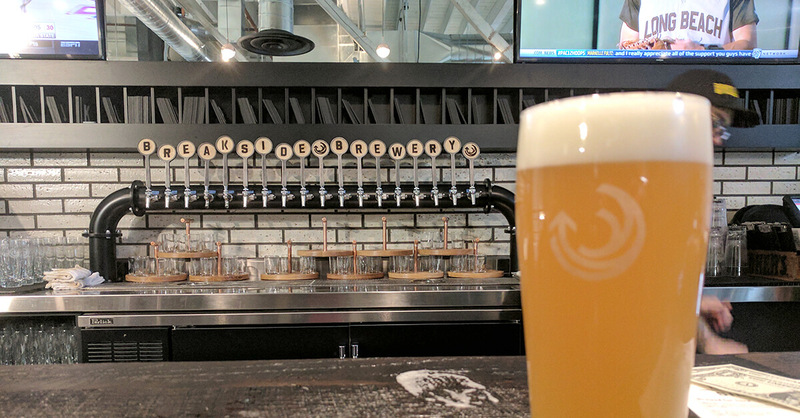 There is nothing earth-shattering about the Seismic IPA (6.2%, 75 IBU), but the Awesome Sauce IPA (6% ABV, 50 IBU) is an interesting take on the New England style IPA, a hazy brew that tastes more like fruit juice than beer. For a night cap, we go with the Dark Times Imperial CDA (10.5% ABV, 100+ IBU), the biggest Cascadian Dark Ale we’ve ever had. If it weren’t for the monthly Czech/Slovak meetup, we’d never come to Portland Brewing, and other than on that first Tuesday of every month we don’t. Located in an industrial area with nothing else of interest nearby, the food and beer are average at best (we secretly call it Elmer’s of Portland breweries). The émigré group has chosen the place for easy freeway access and easy parking, but we suspect it’s also because it’s reminiscent of a small-town Czech beer hall. Portland Brewing: Old school, inside and out. Portland Brewing is one of Portland’s oldest breweries. It was once called MacTarnahan’s Brewing Company, known best for its Mac’s Amber Ale (5.1% ABV, 32 IBU), and is now owned by a Costa-Rican conglomerate. We used to buy Portland Brewing’s beers, sold under Pyramid brand, because they were cheap and drinkable craft beers. 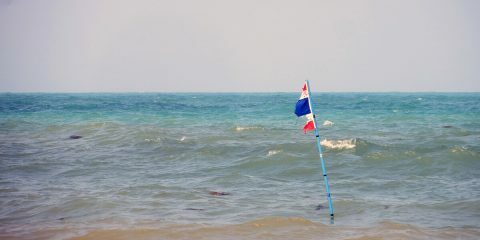 And they remain so. Black Watch Cream Porter (5.3% ABV, 27 IBU) is delightful, both with its body and the pop culture reference. 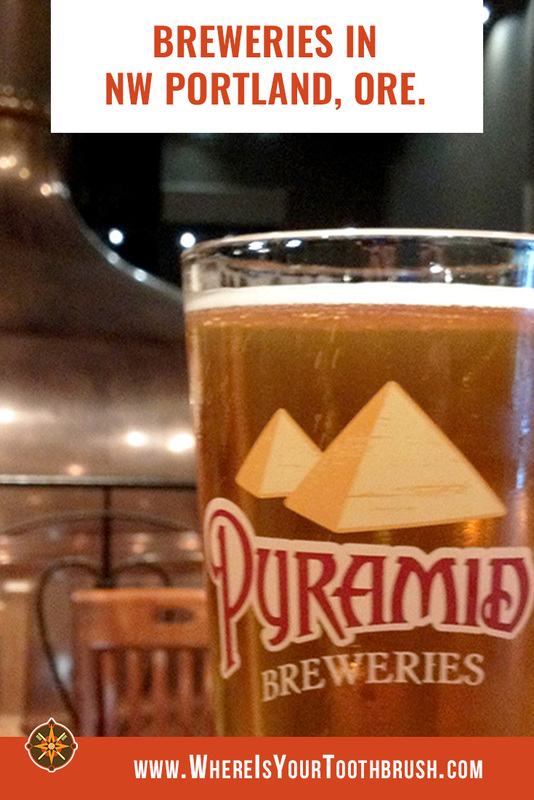 The India Pale Lager (6.6% ABV, 70 IBU) packs a punch. Summer S.M.A.S.H. (5.6% ABV, 35 IBU) tastes best on the patio during a summer meetup. But it is the seasonals that are the most worth trying. Awesome copper fermenters at Portland Brewing. If you ever make it out there, that is. Hours: Monday–Wednesday 11:00 a.m. to 8:00 p.m., Thursday–Friday 11:00a.m. 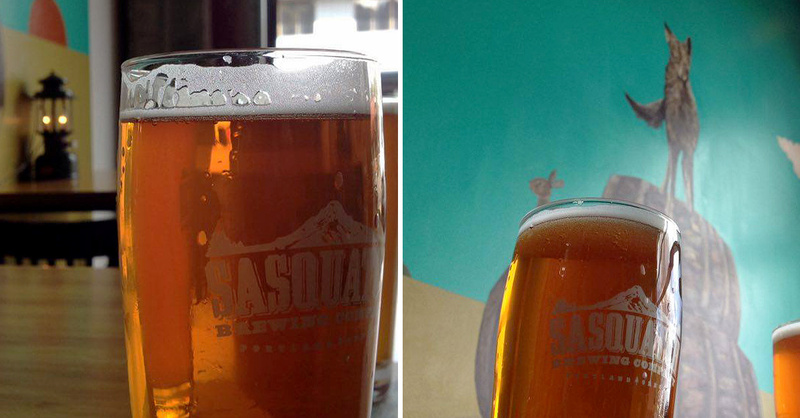 to 9:00 p.m., Saturday 12:00 p.m. to 9:00 p.m., Sunday 12:00 p.m. to 6:00 p.m.
We learned about the April 21st opening of Sasquatch brewery’s second location on Facebook from Steven Shomler, of the Portland Beer Podcast and many other cool projects, as it was happening. 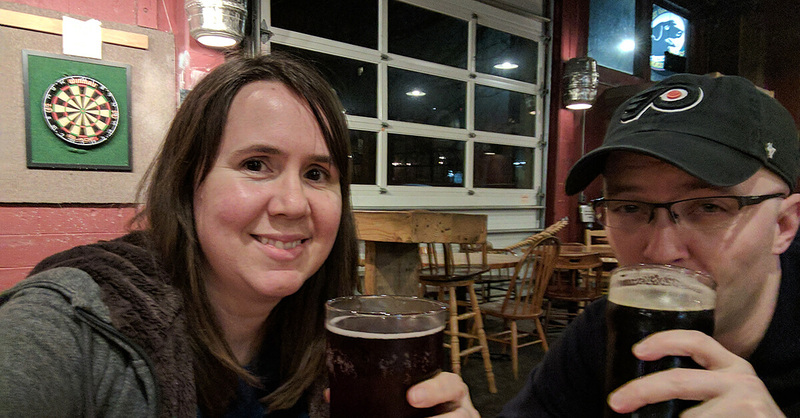 Not having anything better to do on a Friday night, we biked over to the warehouse location in the Industrial Northwest area, half a block away from Portland Brewing). 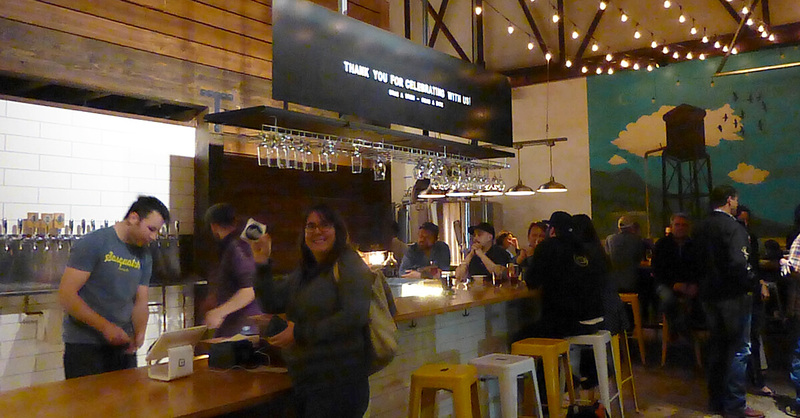 The brewery and taproom is a long-awaited expansion of a tiny Southwest Portland brewery. 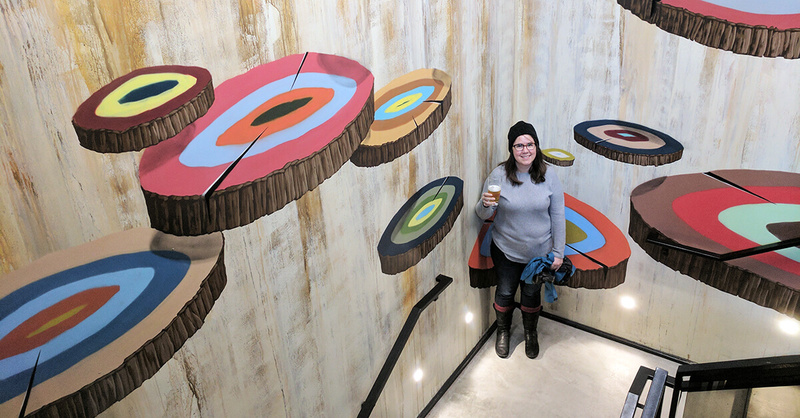 And what a step up it is, with simple taproom furnishings and a gorgeous mural, painted by Chris Bigalke and Julia Skerry, sharing the space with brewing equipment. Of course, the opening was crowded (though not as obnoxiously so as the early days of Breakside Slabtown). There was live music, there were free sausages and hot dogs, but most importantly, there was beer. Never particularly impressed with Sasquatch’s production (we’d go to the original brewery because it’s the only decent place and brewery in Hillsdale, not for its beer alone), we changed my mind after sampling several brews here over a couple of hours. A subsequent visit, on a bright spring Sunday afternoon, allowed for tasting in a much quieter, calmer atmosphere. The Kolsch (4.6% ABV, 19 IBU) would change my mind about the style were it not a bit flat. Honey Nut Beerios Golden Ale tastes exactly as you would expect from its name, perhaps eerily so (6.4% ABV, 16 IBU). Trapped in Amber Ale (5.4% ABV, 30 IBU) pours on the malty-sweet side of the style. On the lighter side of pales, Galvanizer (4.5% ABV, 36 IBU) is so dry it puckers your mouth. Woodboy IPA (6.8% ABV, 74 IBU) was just as we remembered it: hoppy in a classic Pacific Northwest way, with distinct citrusy notes. Chinook Me All Night Long IPA (6.3% ABV, 80 IBU) conjured stone-fruit in our minds. But among the IPAs, we prefer the even juicier Grapefruit IPA (5.7% ABV, 66 IBU). Beer brewed by Sasquatch, mural painted by Chris Bigalke and Julia Skerry. Among desert options, Gran Cru Strong Belgian Blonde (7.3% ABV, 11 IBU) stands out with clear blonde notes at the open and complex, balanced flavors at the finish, with sticky-sweetness undergirding it all. Vanilla Bourbon Cream Ale (7% ABV, 16 IBU), aged in oak, and Cold Shot Coffee Porter (7.6% ABV, 30 IBU), with a coffee addition, both not only lived up to their names, they sent us searching for a word for beer that tastes like other delicious beverages. Perhaps it will come to us next time. 10 Barrel Brewing got a lot of flack in 2014 for selling out to Anheuser-Busch InBev. The truth is, it has worked for them: you can buy their beer anywhere from Target to the tiniest convenience store in a Hawaii Island village, and they now have pubs in four states, including the Pearl District. When a brewery states “nothing is more trendy in Portland than the views of the city from our rooftop patio,” you know what to expect—and 10 Barrel delivers on the promise. The fragrance of brewing mingles in an open, industrial-chic space with that of gentrification and destination tourism. 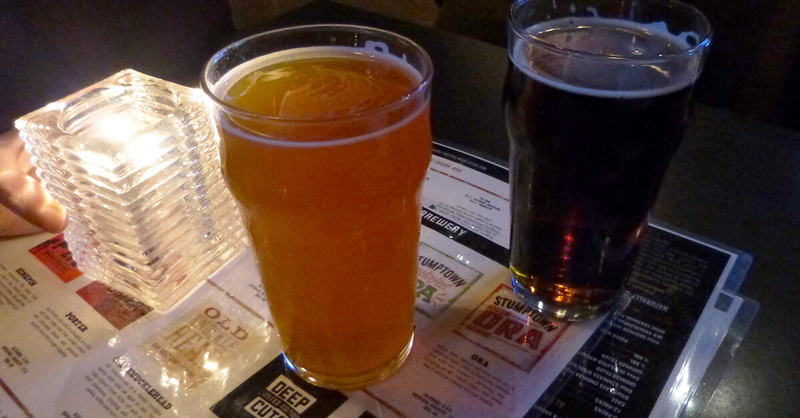 With the exception of the pizza, food is forgettable, but beer is capital-G good. At any time, about half the brews on the 20-strong, ever changin tap list are brewed on premises. Start with the Pearl IPA (7.3% ABV, 80 IBU), the first beer made here, or, if you need something lighter, Salute Your Schwarz (5.4% ABV, 35 IBU), a dark German lager. Be sure to try one of the seasonals included in the sample tray. 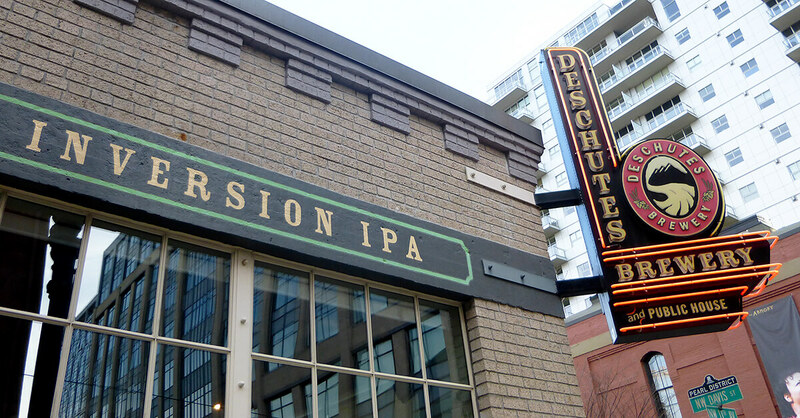 When Deschutes opened in the Pearl District in 2008, the Central Oregon brewery’s first foray out of their hometown, there were “only” 30 breweries in Portland (and only two Northwest Portland breweries). There’s something comfortable about the hangar size, family-friendly pub, which manages to be inviting despite being packed to the gills most of the time. Deschutes was an early bird in the Pearl District. The Mirror Pond Pale Ale (5% ABV, 40 IBU) was our gateway drug to craft beers. We found the Fresh Squeezed IPA (6.5% ABV, 60 IBU) on tap all the way on the East Coast and for good reason: it is high-desert summer in a glass. But, as with other established breweries we’ve visited, it is the seasonal and experimental brews that are worth coming here for. Hours: Monday–Wednesday 11:00 a.m. to 10:00 p.m., Thursday 11:00 a.m. to 11:00 p.m., Friday–Saturday 11:00 a.m. to midnight, Sunday 11:00 a.m. to 10:00 p.m. Started by a Belfast native in Seattle in 1983, Kells now has four locations on the West Coast. 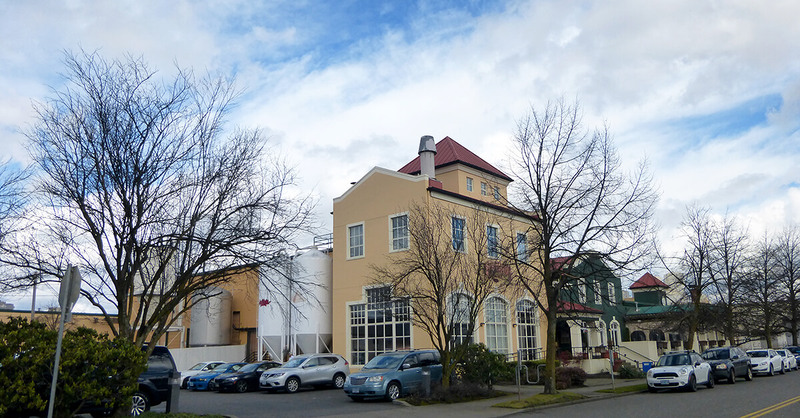 The NW Portland brewery Kells Brew Pub opened in 2012 and was voted Best Brew Pub by a local TV channel’s viewers in 2013 (the business rebranded into Kells Brewery in June 2017). Now that the Irish pub craze has been over for two decades, the dream of the 90’s is alive in Kells. 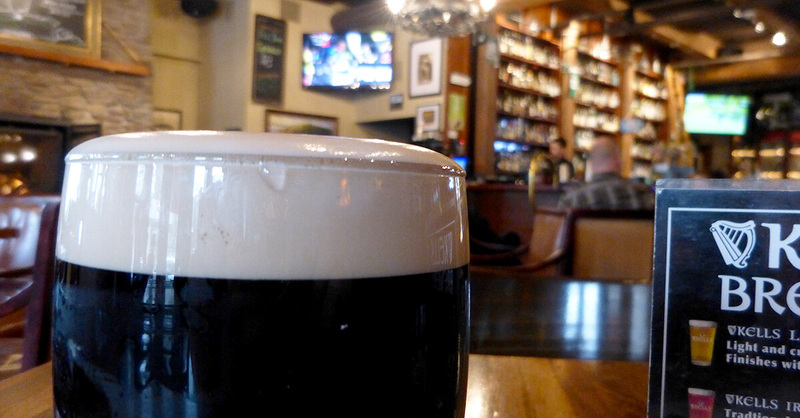 While the nearby McMenamins locations have cornered the cozy pub market among Northwest Portland breweries, the nostalgic wood-paneled pub in the Alphabet District fills up for Portland Timbers games, St. Patrick’s Day festivities, and live music nights. More so, it’s a popular neighborhood spot for meetings and family outings (and KGW viewers), and an occasional tourist wanders in as well. Stained-glass Saint P and tiny windows in booth panels, a lute and other Eire paraphernalia, and the fireplace complement the pleasant air to quaff your stout in. Yes, Kells Irish Stout (4.5% ABV, 22 IBU) is a must have here. You won’t find a better example of the style in town. Its smooth, creamy head of the steely, drinkable brew makes you forget Guinness even exists. The best we can say about the Irish Red Ale (4.6% ABV, 24 IBU), Irish Pale Ale (6.2% ABV, 64 IBU), Irish Lager (4.5% ABV), and a host of rotating brews—the Blood Orange Wheat (4.8% ABV, 45 IBU) is a standout—is that they are decent. Then we order another Stout. Best stout in town, at Kells. P.S. : Though, as of this writing, its website and equipment visible from the street suggest otherwise, Splash Brewery, which opened in 2015 as part of the eponymous bar (and night club) in the Pearl District, no longer makes beer. We, therefore, cannot count it as a brewery in NW Portland (or at all). 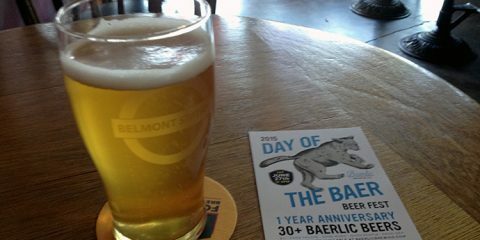 Have you been to any of these Northwest Portland breweries? What did you think? Good list, especially impressed you made it out to Breakside Slabtown already, it’s so new! Thanks, Pech. Breakside Slabtown is only a few blocks from our apartment, so it was a no-brainer. Holler if you go and want to meet up! Great series, Peter! As a lifelong Portlander, it’s been an amazing to watch the evolution of craft brewing is our little corner of the world. Looking forward to reading more! The evolution of craft brewing here has been amazing, indeed. We’ll keep drinking and writing about it as long as it continues! My husband is a beer fanatic, so Portland has long been a favourite destination of ours! It’s about an 8-hour drive from where we live, but we typically do it every year at the end of July for the beer festival! July is Craft Beer Month here in Oregon, so it’s a good time to visit. Plus this year is the 30th anniversary of the Oregon Brewers Festival, though the event gets too crowded for us to enjoy it. To each their own, I guess. Let us know when you are in town and let’s go get a pint. Thanks for this post! It’s always nice to hear about places to have a good IPA. I’m coming from Seattle so glad to see Kells in there as well. Portland is great not just for beer but for food as well. Great for a weekend trip or longer. I’d head down for basketball games. 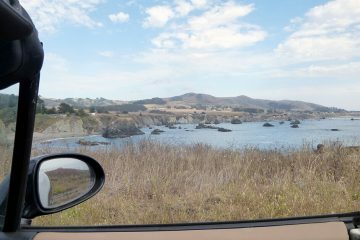 Will be bookmarking this post for a future visit. Cheers! Thanks for stopping by, Mario. IPAs used to rule this town, now it’s on to sours and Belgians. Let me know when you visit, Danik, and let’s grab a pint. whew, this is a serious list! I think the Pint House would be my first stop only because if I am travelling, the décor along with the seasonals would be something that I would want to blend together. Is it possible to visit even half of these places in a week if you are visiting? I would assume they are pretty spread apart. I hang my head as I admit I have never heard of the Brewcycle before. OMG that sounds a hoot. Saying that, I think the BrewBarge is more my style, do like the sound of that. What a great assortment of breweries, definitely something to keep in my thoughts when travelling to Portland. Please don’t. 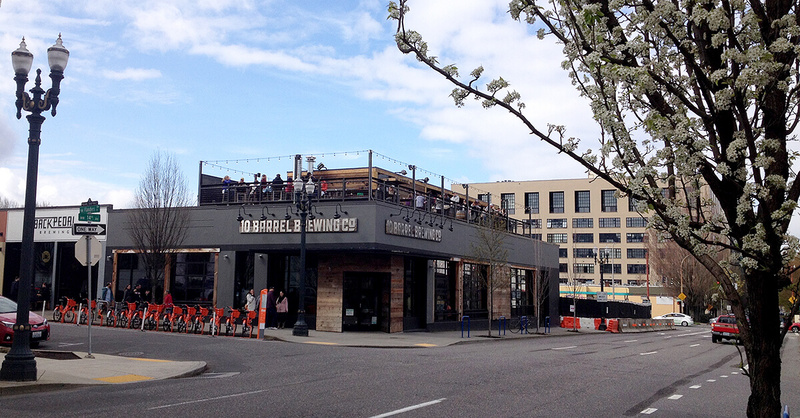 In fact, locals don’t like the Brewcycle much – you get a bunch of screaming people riding slowly through the neighborhood and taking over pubs… The BrewBarge is BYOB. Oh my goodness.. I thought I had a decent handle on Portland breweries having visited my friends there a few times, but it looks like I still have a lot of work to do! I haven’t been to any of these yet (or maybe I have and was already a few beers deep hehe…) Can’t wait to check them out! I love that the craft beer movement has really taken off in the USA! I always try to find local breweries when I travel. Taken off? It’s gone crazy! From fewer than 2,000 in 2010 to more than 5,000 in 2016. Portland: 58 in 2014, 70 today. So. Much. Beer! This is fantastic. We love visiting craft breweries and make it a point to try the local brews when traveling to new destinations. This guide is definitely something to keep handy when planning a visit to Portland. With so many breweries, I don’t think we’d know where to even start. Looking forward to reading your future articles as well! Thanks, Heather. Let us know if you come to Portland, we’ll take you on a private brewery tour. And I’m only getting started. Four more quadrants / almost 60 more breweries to go! 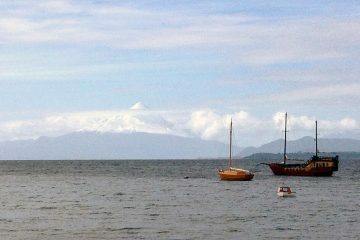 You’re making me miss PDX! I came of age in the PNW (and Germany) so I’m all about good beer. I’ll definitely share your guide with beer-loving friends who are headed to PDX. Thanks, Cate. Yes, please do share this and all the other future guides. Great guide, really useful for someone like me who’s thinking about a Portland trip, and is married to a craft beer lover. I agree that those brew bike vans are not for us, horrible leery things! But your recommended breweries to visit is far more useful for us. Thank you! Thanks, Kavey. Like my wife, you are so lucky 😉 Do visit, Portland is a beer lover’s heaven. 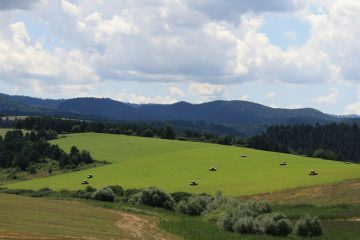 Your article makes me miss PDX! I came of age in the PNW (and Germany), which set the beer bar very high. Thanks for this guide – it’ll help when I’m looking for a new place to try next time I’m in town! What city is that, Saakshi? 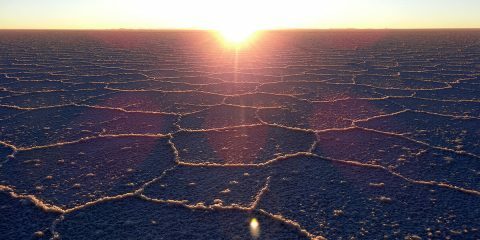 I must visit. It’s keeping me occupied alright. Awesome, I didn’t know Portland had so many breweries! Your post made me realise Portland is a great destination for me and my boyfriend as we both love beers! Looks like we will be at the right spot for our IPA and Witbier addictions! If you love beer you’ll love Portland. Cheers! Zowie — what an epic undertaking to document each of the breweries! It’s a tough job, but someone’s gotta do it, right? 🙂 I think my pick would be Breakside Slabtown simply for the stairwell decor. I’m hoping to get to Portland next year after visiting family in Seattle, so will bookmark this guide. Thanks, Lillie. It’s a hard job if you can get it. Let us know when you’re in town, we’ll take you all out for a beer. Not being a beer drinker I spent most of my time in Portland testing food trucks but it wasn’t hard to find cool microbreweries scattered around. Although I have to admit that even if I was a beer drinker I still would have found it difficult to leave the food trucks. Oh food trucks, the other good thing about Portland. There are more than 500 in town, so covering “only” 70 breweries is easier. I will pass this on to my husband, he loves a good stout now and then. Unfortunately…I don’t, but he will love these places and these beers, Cheers! Thanks, Alyson, to each their own. More beer for us beer drinkers!